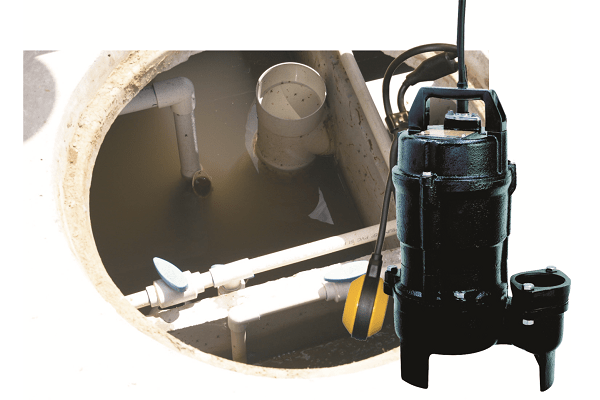 Aussie Pumps has announced the company will supply Tsurumi UTZ, a series of submersibles that are ideal for septic tank installations and pump replacements. “We are talking to plumbers everyday who are fed up with re-installing ‘third world’ pumps that they know will only last a couple of years,” Aussie Pumps product manager Neil Bennett says. “Giving customers a reliable product is vital when handling effluent. Many septic systems installed use cheap pumps just to meet a cost point. We recommend they are replaced with Tsurumi UTZ pumps because of their quality and suitability. Designed specifically for effluent and sewage applications, the pump is fitted with a vortex style impeller that passes compressible solids of up to 35mm in diameter. The maximum flow available from the range is 440L/m while the maximum lift, or vertical head is 12.5m. The automatic pumps feature a simple float control system that prevents dry running, reduces power consumption and extends operating life. All Tsurumi pumps have a double silicon carbide mechanical seal. Both seal surfaces are submerged in an oil chamber, well away from the pumped liquid. A patented oil lifter ensures the mechanical seal faces are always lubricated and cooled, even if the pump is installed horizontally.